Bohemian moldavite is a green gemstone formed from condensed rock vapors following a meteorite impact and has been called the only known "extraterrestrial gemstone" on earth or "the gemstone from the stars." 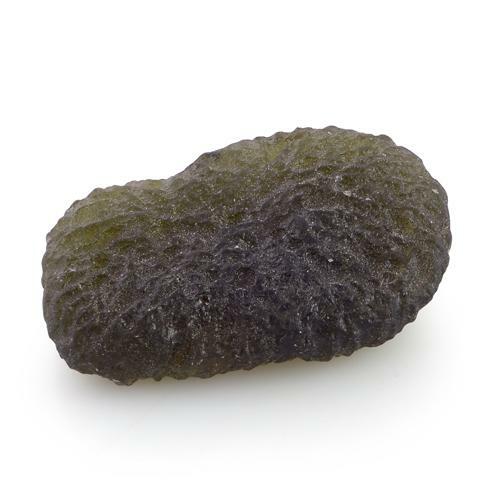 Moldavite is part of the tektite family meaning it is a naturally forming glass rock which took shape following the impact of a large meteorite on the earth's surface. Moldavite originated due to the impact of a meteorite in the Bavaria region of Germany 15 million years ago. This meteorite impacted the Earth at an estimated 6 trillion megatons and a speed of more than 13 miles a second or 45 thousand mph. Fragments from large meteorite impacts can be strewn many kilometers from the crater. Tests performed by NASA reveal that pressure inside several small bubbles within this gem is comparable to pressure found 13 to 15 miles above the surface of Earth. 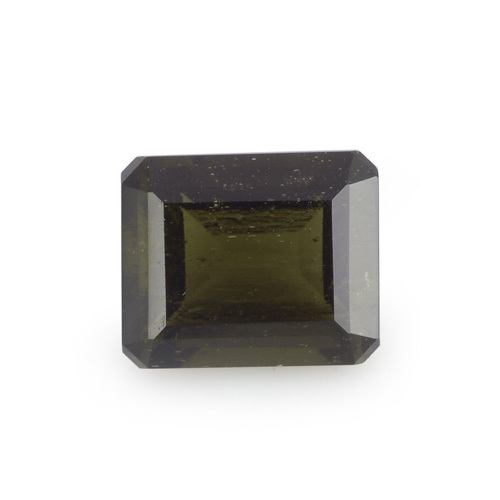 From all the materials produced by a celestial event only moldavite can be faceted polished and classified as a gemstone. 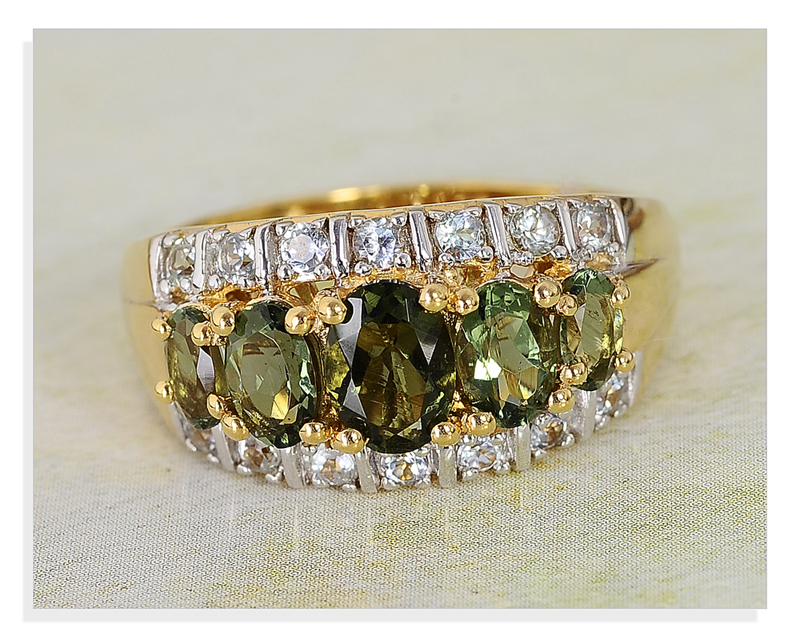 • Early Europeans believed moldavite was a spiritual charm and became part of their daily wardrobes. • Moldavite was also used in early arrow heads and cutting tools. • In 1963 to mark a decade of rule Switzerland presented Queen Elizabeth II of England with a crown. 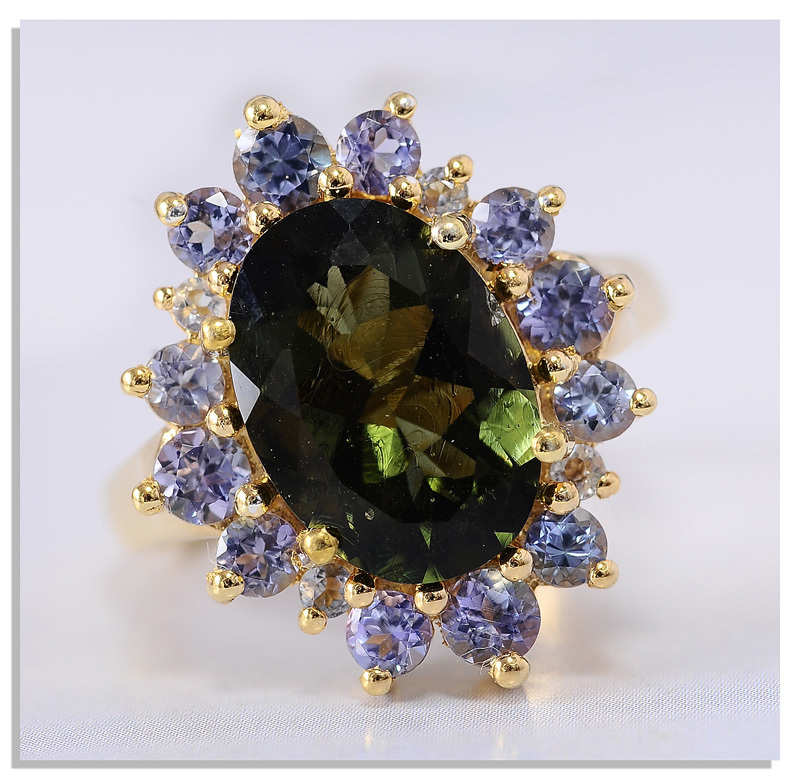 The principal gem in the crown was an all-natural moldavite surrounded by diamonds and pearls. • Many consider moldavite to be the only "extraterrestrial" gemstone. • With its celestial properties crystal healers believe that moldavite brings love to those who wear it. • Some believe it facilitates clear vision and understanding. • When used as an energy tool moldavite owns exceptional power. After all it came from fire with all the fiery substance. Discovered in 1787 moldavite is a tektite named for the Moldau River Valley in the Bohemia area of the Czech Republic the only source of this treasure. Four moldavite mines currently operate in Czech Republic. Recent supply projections suggest that gem-grade material will be exhaustion within eight to ten years. Shop LC is pleased to offer this rare gemstone at affordable prices. Colors display a bottle green but may appear with tints of brown or green. Member of the tektite family.